From the hillside, you can see the area around the Terrasse Dufferin in Quebec City, a luxurious hotel with some exquisite architecture dating back to the 1830's. Once a stately private residence, people can now enjoy a stay in a mansion that overlooks the St. Lawrence River. 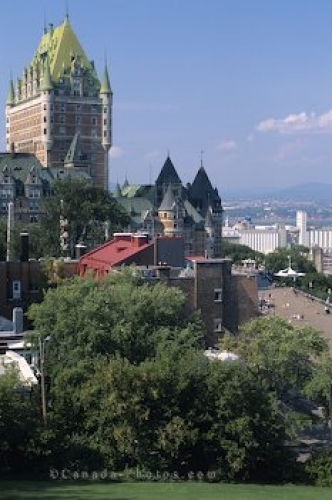 Picture of the view from the hillside of the Terrasse Dufferin Hotel in Quebec City, Canada.